Thailand, Day 3 | Hujambo! Starbucks for coffee, reading and mostly to charge my phone! 15 Baht tuk tuk ride from the main road, near Democracy Monument. 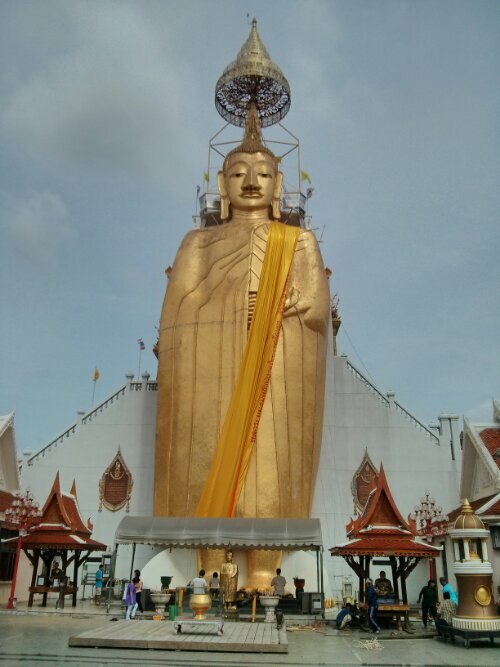 I thought I saw a huge Buddha yesterday, but this one was massive! Taxi to Pantip Plaza for 61 Baht. 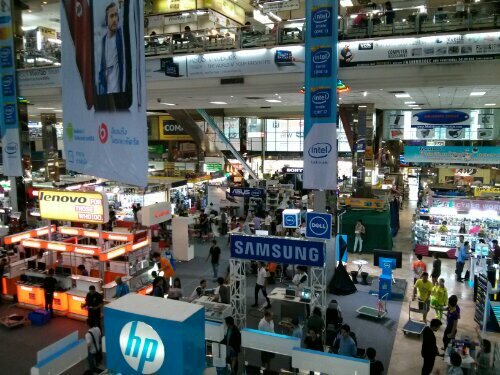 Someone told me there are lots of electronics here, so I had to check it out of course! 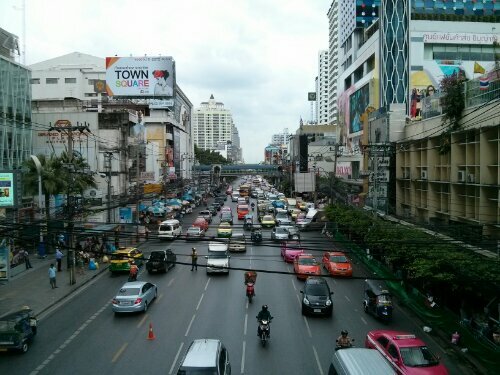 The taxi dropped me outside the entrance but I walked over the foot bridge to get in. I’m realizing that, in terms of cheapness, Tuk Tuk > taxi > motorbike. For taxis you need to use the meter! The taxis all have meters, but sometimes the drivers don’t want to use them, but you should always insist. BTS train… Ratchathewi to Siam 15 Baht… Siam to Sala Daeng 10 Baht… Exit BTS and go to the subway (MRT)… Hua Lamphong 18 Baht. Side note, not many fat people here. Also, not many black people. “Not many,” like I see less than 10 a day of each! 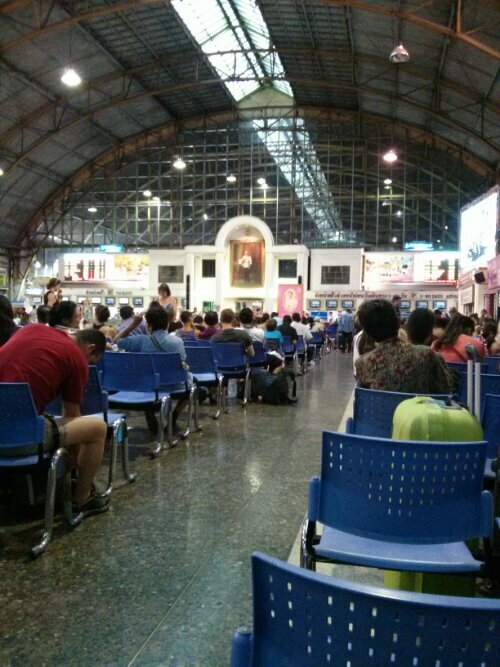 Overnight train to Surat Thani, bus and ferry to Koh Samui, bought ticket at Hua Lamphong station. 800 THB. Waiting in the train station, at 18:00 a bell rang and then the national anthem played a a everyone stood up to face a painting of the king. Suuuper weird. Tom Yum vegetable noodles and a cold coke for dinner at Hong Kong Noodle, 124 Baht. Came with chopsticks, which is fun but I always thought Thai people don’t use chopsticks? 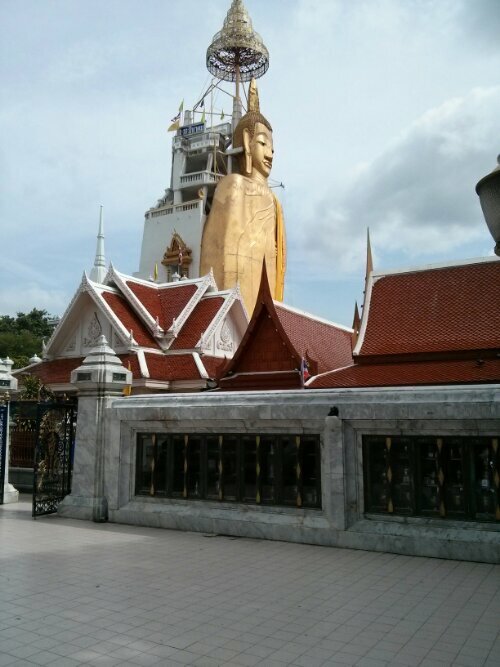 Enjoying your posts Alan, helps remember the interesting trips to Thailand during the three years living / working in S.E. Asia. Man it seems you really enjoying Thailand. Seems like a lot of fun and very affordable. Enjoy!